One of the best sunset spots! Signs lead you from Logothetianika village to Lykodimou beach through a winding road offering a very nice scenery. 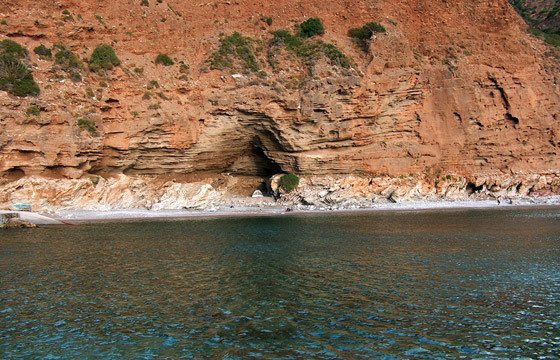 This one is a large beach, sandy and pebbled at parts and a cave is naturally formed at the fond, which provides natural shade. It is organized with umbrellas and sunbeds and a canteen as well. Although the beach is organized and really beautiful it is rarely crowded.